Skydive Auckland is NZ’s largest tandem, sport and student skydive facility. We are extremely passionate about what we do and the high quality customer service experience we deliver. We are looking for an enthusiastic person to take on the role of being our Courtesy Bus Driver, responsible for picking up our customers from Auckland CBD, bringing them out to us at Parakai Airfield (45 mins) and getting them back safe and sound! This job involves much more than just driving and is suited to someone with excellent customer service skills and experience: **First impressions count! 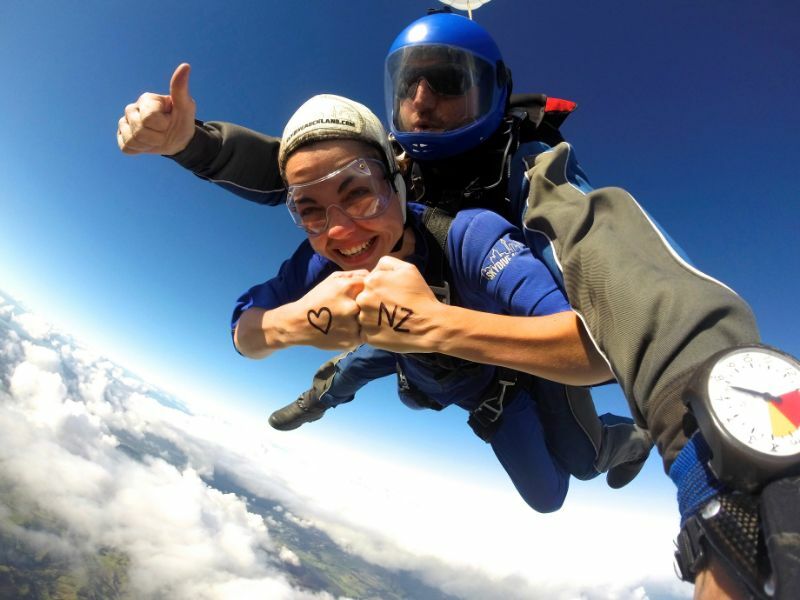 You will be the face of Skydive Auckland. **Customer service extraordinaire! You will be dealing with customers and agents from all over the world. **Flexibility! This isn’t your average 9-5 role. **Timing is everything! Getting our customers to and from Skydive Auckland on time. **Safety First! Our customers’ lives are in your hands and so is our outstanding reputation. If you have a can-do attitude and think you can cope with a fast paced role, where customer service is key – then get in touch today. based in Central Auckland (no further than 20 minutes from Sky Tower). available to work up to 5 days per week. able to cope with a very flexible work schedule and hours ranging from 15-35 per week. eligible to work in New Zealand.